I like reading, learning in fact. Books, blogs, podcasts, courses, discussions. If I can learn something, I’m interested. In our goals for 2008 we’ve both got down to read a book a month. Jenny isn’t doing too well but once she gets hold of Audio Books I reckon she’ll be away. And I’m half way through Playing for Pizza by John Grisham (my first Audio Book). Next to my bed is Anointed for Business by Ed Silvoso which I am yet to start. I’m sure some others will make it onto the list before 2009 arrives. So when do I read? Mostly late at night, especially if Jenny turns in early. Otherwise holidays are great reading opportunities, I read most of The Road Less Travelled in Switzerland this Easter. The odd hour at a weekend makes a nice break from work. I’ve tried hard to get through good meaty books which make me think, otherwise the only things I am reading about are technical bits and bobs, which in the grand scheme of things are of no great consequence and within 6 months will probably be old news anyway. Pick up a book, read a magazine, listen to talk – do something that makes you think. And learn, keep learning. That’s my approach to life. There’s so much out there to discover! 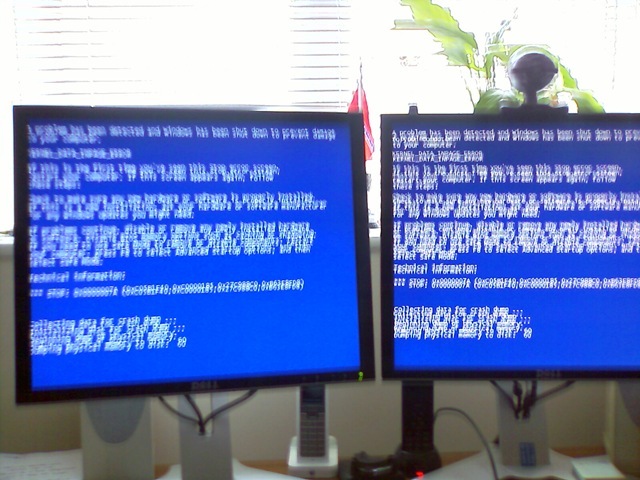 Errors reported in KERNEL_DATA_INPAGE_ERROR which suggests a memory problem. Which is not good. So, you see the mention of hidusb? That relates to hidusb.sys, the Windows driver responsible for the USB subsystem. Now I’d noticed some problems before with my USB wireless network stick, and each time the machine booted up this morning there was no wireless connection. I removed the USB wireless, rebooted and hey presto – no crash. The wireless stick is a Marvell USB device that was about as cheap as they come, so I was asking for this at some point. Off to Staples, got there as it opened at 8am. They had a nice array of Belkin and Linksys wireless cards, but none which said Windows Vista compatible. By this time I had spent almost 3 hours trying to fix this. So out comes the smartphone, wireless internet, googling “linksys vista support”. Onto the Linksys website, which is totally unreadable on my phone. Google again on “belkin vista support” and a useful page listing all of their devices with Vista support notes come up. Looks good. I buy the Belkin Wireless-G Desktop card, get home fit it in 10 minutes after downloading the Vista drivers, and all is calm again. Yes, we now have a new car! 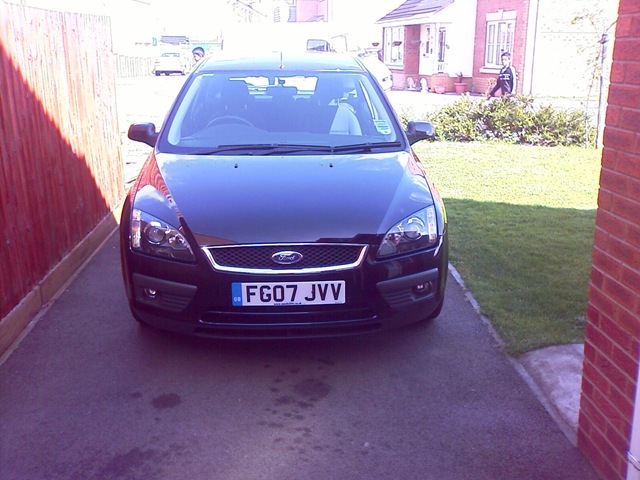 A sleek panther-black Ford Focus 1.6 Zetec is sitting on our driveway. Not much else to say about it when a picture speaks a thousand words.